Looking for a certified UK Nutritionist, London or Private Nutrition Clinic in London? London Nutritionist Yvonne Bishop-Weston studied at, and recently tutored at The Institute of Optimum Nutrition in London and won an award for her work on essential fatty acids in pregnancy. She has nearly 20 years of experience in the healthy eating and nutrition industry. Having held key roles in Holland & Barrett (health food chain), Cranks (pioneers of vitality and health who started in London's 1960's groovy Carnaby Street), and The Food Doctor (London Nutrition Consultancy and Clinic) she now offers corporate nutrition consultancy and personal nutritional therapy via Foods For Life (see below) She is regularly consulted by Newspapers, magazines and TV and appears regularly in UK Media - on ITV and BBC. "Doctors stop you dying - nutritionists stop you suffering"
Yvonne has co-written a healthy cookbook with delicious and nutritious recipes and is a regular contributor to various magazines and newspapers. Healthy recipes from the book are featured on the BBC Food website. What is Nutritional Therapy? What are the benefits offered by clinical nutritionists? Your grandmother and Gillian McKieth are certainly right about one thing, you are what you eat, and many areas of health can be affected by your diet. Nutritional Therapy helps you to work out which are the best foods for you as an individual to help you to optimize your health and get the most out of life. They also help you body to repair itself by optimising the digestive, defence, repair and immune systems. Nervous system disorders, such as depression, anxiety, insomnia and resultant stress. In general terms Nutritionists create and apply the scientific knowledge to promote an understanding of the effects of diet on health and well being, whereas Dieticians interpret and communicate the science of nutrition to enable people to make practical food choices. Nutrition Therapy takes this one stage further. BANT Nutritional Therapists are trained, certified, licenced and insured to use the scientific nutritional knowledge in a therapeutically curative and healing way. Nutrition Therapy treats and looks at the whole body and the underlying causes of illness rather than just treating a symptom. BANT Therapists are also expected to prove their commitment to continual professional development by taking part in the BANT CPD scheme keeping them up to date in the latest scientific advancements, developments in nutritional research and latest new diagnostic tests. Nutritional Therapists are trained to sympathetically use the complex dynamic interactions of food and nutrients within the body's biosystem to work in harmony with the body and kick start it's natural synergy, defense and normal operational systems rather than overide them like so many modern medicines do. Before your consultation you complete a comprehensive Health and Lifestyle Questionnaire and a 3-Day Food Diary. During your consultation Yvonne works through these with you to ascertain your health goals and devise a dietary programme which will fit into your life and be achievable. You may also be recommended biochemical tests and natural supplements should these be appropriate. 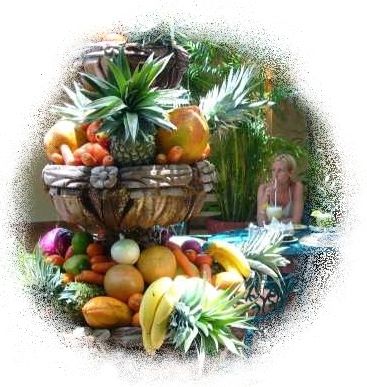 Nutrition is intended as a complimentary therapy not necessarily an alternative therapy. BANT certified nutritionists will try to work in synergy with your GP Doctor but using more in depth nutrition knowledge to look beyond and in greater detail at the problem that your doctor has often first diagnosed. Yvonne Bishop-Weston is a qualified Clinical Nutrition Consultant (B.Sc. Dip ION. MBANT), and full member of The British Association for Nutritional Therapy (BANT). Yvonne is a registered Foresight practitioner and also registered with The Food and Mood Project. She has held key roles in the health food Industry and previously managed the renowned vegetarian company, Cranks, The Food Doctor, in Holland Park and the City, London and at Oasis Health Centre in Croydon. Yvonne has also been responsible for the nutritional analysis and recipe development for Cranks cookbooks and co-written a healthy cookbook for Hamlyn and seen in various magazines such as Zest, Marie Claire, Top Sante, Red, Elle. She has appeared on TV on Sky, ITV news and GMTV's LK Today programme. Yvonne has clinics at Oasis, Croydon on wednesdays and Saturdays. She is also available for consultations at Harley Street in London on Wednesdays. Foods for Life offers a number of other nutritionists in London - see www.optimumnutritionists.com for more details. £75 Colour GIFT VOUCHER (UK only) Available for 1 One Hour Initial Consultation in Croydon - We will need name and address of the person to send food diary, health and lifestyle questionnaire and a colour gift certificate. Special Offer - £100 Colour Gift voucher Includes 1 Hr Consultation and 30 minute telephone follow up session available for Croydon Clinic only . E-mail clinic (at) foodsforlife.co.uk for more details. Click on button below to also pay for optional half hour follow up consultations at Oasis in Croydon and/or follow up telephone consultations. Please Note: All Payments for Tests and Biochemical Analyses are paid direct to Laboratory and sent with samples NOT to Foods for Life - Please ask your nutritionist for details. Reporting over 100 different markers that provide a valuable insight into one's nutritional and metabolic status. Includes full nutrition profile testing vitamins, minerals, food intolerances, essential fats and essential amino acid status, hormone panel and London nutritionist consultations at London Clinics.